Kyle or Kayla: who’s your hero? There is Kayla Mueller’s America and there is Chris Kyle’s America and we can’t identify with both. There is Kayla Mueller’s Christianity and Chris Kyle’s Christianity and the two religions have little in common. Kyle or Kayla; who’s your hero? 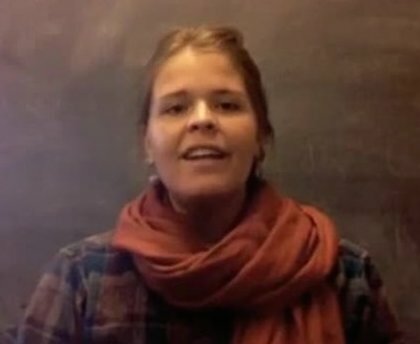 Kayla Mueller was taken captive by ISIS militants while working with Doctors Without Borders (Médecins Sans Frontières) in a hospital dedicated to treating refugees from Syria’s civil war. This was how she lived out her faith. Earlier faith adventures took Mueller to India, Israel and Palestine. Mueller traveled to Israel in 2010 to work with African immigrants but spent most of her time working with the pro-Palestinian International Solidarity Movement. Mueller later reflected on this experience in a blog post. In the eyes of many, Kayla Mueller’s sympathy for the Palestinian people defined her as anti-Israel and anti-American. Such conclusions make sense from the perspective of Chris Kyle Christianity. I haven’t read Kyle’s book, American Sniper: The Autobiography of the Most Lethal Sniper in U.S. Military History, nor have I seen Clint Eastwood’s movie. Chris Hedges read the book and watched the film and came away horrified. Chris Kyle has a point. It is unrealistic to expose young men to pro-military propaganda, send them to boot camp, hand them a rifle, tell them to kill citizens of a demonized race, and then criticize them for joking about mass murder. War does mean “violent death”. And repeated exposure to violent death destroys the spirit. This is particularly true when you are personally responsible for the violence and death. Kayla “tenderly cradled” the victims of violence; Kyle embodied the myth of redemptive violence. Kyle and Kayla can’t both be heroes; you’ve got to choose. 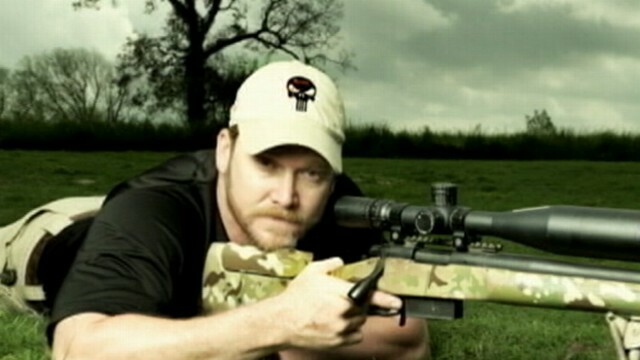 I think sometimes I should see the movie, “American Sniper.” Then I think again. I don’t want my ten dollars or whatever the price of the ticket going to support the myth of redemptive violence. If there’s a movie about Kayla I will want to see it. But I have looked for “Selma” at Amarillo theaters to no avail. “American Sniper” has been on ever since it came out, and now “Fifty Shades . . .” is showing. More violence–sexual violence. Don’t want to support that either. Boycotted the Super Bowl this year for the first time ever. Violence, corruption, greed. I am addicted to football but hope to continue my boycott when the season rolls round again. Re: “redemptive violence.” It’s been a long time since I’ve read it, but Walter Wink in one or more of the volumes in his trilogy talks about how the myth of redemptive violence makes its way into comics, movies etc.